Each and every Sunday, Gene Pierce, owner of Glenora Wine Cellars, Knapp Winery & Chateau LaFayette Reneau, wears the hat of editor of “The Glenora Gazette” Newsletter. 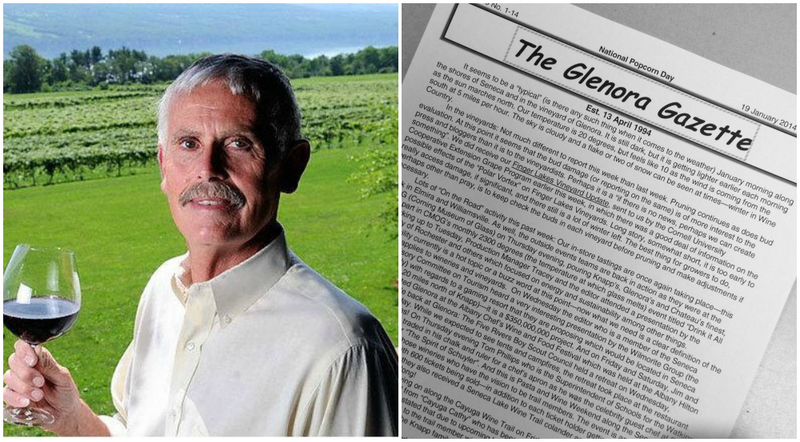 Since the first edition on April 13th of 1994, Gene has been reporting in weekly, offering news on many subjects from the happenings at Glenora, Knapp and now Chateau, to news of the region and beyond. His commentary is not only insightful, but comical at times as well! If you are interested in reading The Glenora Gazette from this past Sunday, click here. To subscribe and receive the newsletter via email, click here.